Dr. Thoma grew up in Jackson, Missouri. He attended Columbia College for his undergraduate degree in Biology, where he played basketball and received many honors including twice being named an NAIA Basketball All-American Scholar Athlete and becoming a member of the “100 Career Wins Club.” In 2012 he was inducted to the Columbia College Athletic Hall of Fame. Dr. Thoma is also a graduate of the University of Missouri – St. Louis (UMSL) School of Optometry. 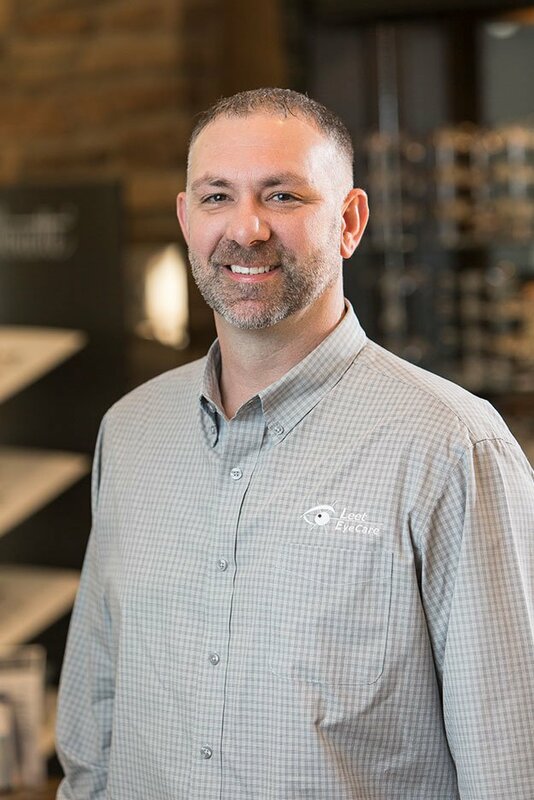 A member of the American Optometric Association (AOA) and Missouri Optometric Association (MOA), he’s been practicing since 2002 and a partner of Leet EyeCare since 2005. His specialties include contact lenses and fittings, as well as ocular disease management including diabetes, glaucoma, macular degeneration, cataracts, and low vision. Dr. Thoma is an active member of the Cape Girardeau Evening Lions Club; Jackson Optimist, Elks, and Hoop-Shot Coordinator; and serves on the Kidsight Board. Dr. Thoma and his wife Kim have four sons who keep them very busy—Braedon, Kolton, Easton, and Kason. The family enjoys spending time together and going on trips. He also coaches his sons’ basketball teams and serves as the Jackson Junior High 7th grade coach. He likes to recharge by getting in some fishing and hunting time. If Dr. Thoma could turn any activity into an Olympic sport, in what event would he have the best chance to medal?